A celebration of an outstanding leader who continues to strive and work for change, and it's a rallying call for other women leaders, whether they are in positions of political, economic or social power. 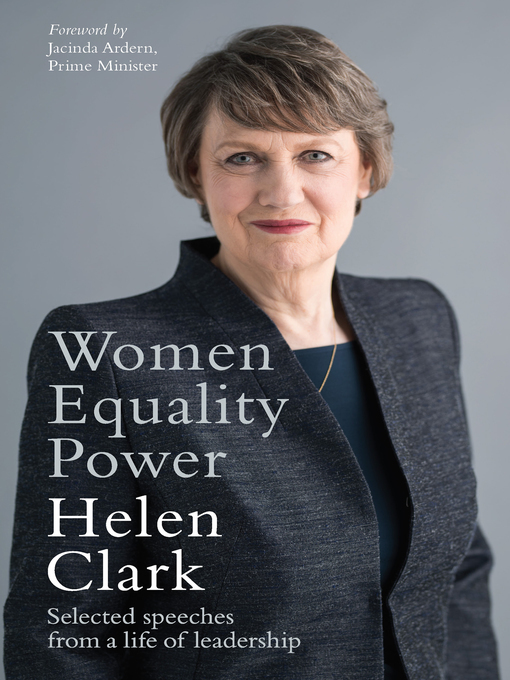 Helen Clark has been a political leader for more than 40 years, since first running in local elections in the 1970s. She entered parliament as a 31-year-old in 1981, led the Labour Party to victory in 1999 and was Prime Minister of New Zealand for nine years. She then took on a critical international role as Administrator of the United Nations Development Programme in New York. One of her key focuses throughout this time has been the empowerment of women and she has paved the way for other women to step up and lead. With a foreword by the Rt Hon Jacinda Ardern, Prime Minister of New Zealand, this is a timely and important book.